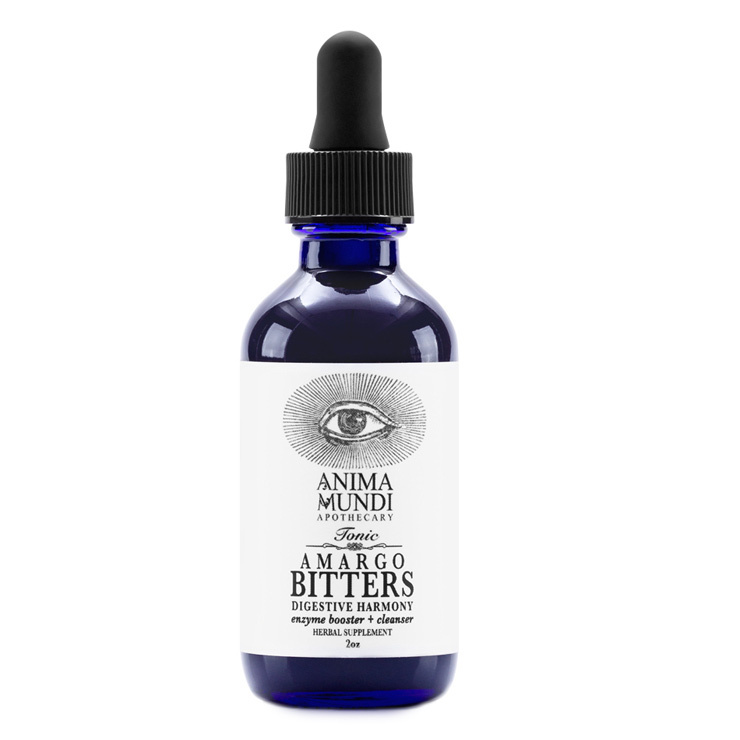 Anima Mundi Amargo Bitters combine powerful rainforest plant ingredients to improve feelings of toxicity and digestive issues. Quassia lends a detoxifying feel to the system, alleviating signs of constipation, indigestion, and bloating. Burdock has a balancing and calming effect, while carqueja provides a revitalized and supportive sensation. Formulated for use as a daily supplement or as part of a cleanse. Add a dropperful of tonic to your favorite beverage, like tea, juice, or smoothies. Use as a daily supplement to your healthy lifestyle, especially when experiencing discomfort from digestive issues. Add to your next cleanse for a feeling of toxic release and purification. Quassia (Quassia Amara)*, Chanca Piedra (Phyllantus Niruri)*, Burdock(Arctium Lappa)*, Dandelion Root (Taraxacum Officinalis)*, Milk Thistle Seed (Silybum Marianum)*, Carqueja (Baccharia Genistelloides)*, Boldo (Peumus Boldo)*, Orange Peel (Citrus Sinensis)*, Extracted in Organic Vegetable Glycerin*, Cane Spirits* and Filtered Water at a 10:1 Ratio.